Tallulah Bankhead was born into one of the most notable families in Alabama at that time. Her grandfather was a United States Senator, and her father, William B. Bankhead, served as Speaker of the House of Representatives. Her uncle was U. S. Senator John H. Bankhead. Marie Bankhead Owen, her aunt became Director of the Alabama State Archives, the first woman to head a department of Alabama state government. Miss Bankhead was an actress by vocation. Her rise to international stardom was a first for a native Alabama woman. It was based on a flamboyant and colorful personality developed as the daughter of a prominent deep South family. A character of strong will, independence, and charm, coupled with a deep husky voice, brought attention to her and redefined popular concepts of Alabama women. Miss Bankhead was a dedicated professional. She was an inspiration to fellow actors and actresses in refusing to cancel performances even through sicknesses and deaths. Her performances were often the saving touches on bad dramas. For her finest performances she received two awards: The Critics' Award for "The Skin of Our Teeth" in 1942, and the New York Screen Critics' Award for the Alfred Hitchcock film "Lifeboat" in 1943. She was dedicated to her craft and fellow craftsmen. Miss Bankhead began her career at sixteen, moving to New York after winning a magazine photo contest. She had been reared in Huntsville, Jasper, and Montgomery and educated in a number of convents. Her propensity to theatrics was evident even then. In her autobiography, Miss Bankhead said, "a flair for the dramatic was a Bankhead family trait." It took little to convince her father and grandfather to allow her to play a part in the stage production of "The Squab Farm." Her stay in New York lasted about two years. She went to London and shortly afterward became star of "The Dancers." This attracted a following in a number of roles. 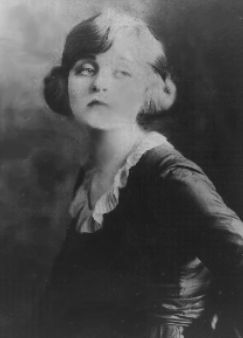 She remained in London until 1931, returned to New York and signed a contract with Paramount Pictures and developed an American career. The six films that she made for Paramount were mediocre at best, she wrote in her autobiography. She returned to the stage in New York, and began a run of successful roles. She made several more films, one of which was the award winning "Lifeboat." "Alabama has produced no actress, and indeed the nation has produced few who were in a class of professional competency with Miss Bankhead. The consensus of the dramatic world seems to have been that if you had Tallulah in a play, the script and supporting cast were of only minor importance," so wrote Carl Elliot, Sr. He also said, "I fear Tallulah has suffered from the sometimes swashbuckling, sometimes naughty characters she played on stage and screen. However, I feel, and on the basis of that feeling, I argue that she should be primarily judged on her qualities as a dramatic actress. By that yardstick she is eternally great." Bankhead, Tallulah. Tallulah: My Autobiography. New York: Harper & Brothers, 1952. Bret, David. Tallulah Bankhead: A Scandalous Life. New York: Robson Books/Parkwest, 1996. Brian, Denis. Tallulah, Darling: A Biography of Tallulah Bankhead. New York: Macmillan, 1980. Bryars, Dianne. Tallulah. Alabama Magazine (July/August 1991): 26-27. Isreal, Lee. Miss Tallulah Bankhead. Boston: G.K. Hall, 1972. Lambert, Lane. In Hometown, Tallulah Remembered as a Buzzsaw. Birmingham News(20 June 1984) p:2A. Patrick, Pamela Cowie. Tallulah Bankhead: The Darling of the Theater. Huntsville: Writers Consortium Books, 1989. Rawls, Eugenia. Tallulah, a Memory. Birmingham: UAB Press, 1979. Smith, Helen C. Hurricane Tallulah Swirls in Eugenia Rawls Memory. Atlanta Constitution, December 1978. ---. "Tallulahs Chum Cherishes Childhood Memories. Tuscaloosa News,. 21 January 1990, 8B. Tunney, Kieran. Tallulah: Darling of the Gods. New York: Dutton, 1973. Walker, Marideth. Remembering Tallulah. Alabama Heritage (Fall 1988): 2-15.